This is an opportunity to give individuals who show exceptional promise a well-deserved public ‘pat on the back’ at the early stages in their career. Whilst also showcasing your organisation with the dynamic, continuous improvement thinking of your emerging leaders. Personal Development: Nominating an employee provides an opportunity to benchmark against peers and encourages good behaviours. The awards offers the chance to network with like-minded leaders and share best practice ideas. Reward and recognition: Nominating an employee is a great opportunity to recognise the efforts of an unsung hero. Making the shortlist strengthens best practice and inspires peers and other future leaders to follow in that individual’s footsteps. If a nominee doesn’t make the shortlist, going through the process and the internal recognition in itself is invaluable. Entry is simple – by completion of an online application form and submission of supporting evidence. Nominations must be made by a reporting line manager / head of department or a relevant director. Self-nominations will not be accepted. Outstanding performance: How have nominees surpassed expectations and delivered stand-out results. How have nominees shown a willingness to accept challenges and embrace opportunities? Teamwork/leadership: How have nominees demonstrated themselves to be a passionate team player / leader showing high levels of collaboration, including leading by example, transferring knowledge and motivating others? Innovation: How have nominees innovated, to generate new ideas and opportunities to enhance performance or affect change? Added value: How have nominees’ efforts delivered an enhanced value to customers and / or stakeholders leading to a demonstrable difference in their organisation? GSK are very honoured to build our relationship with the BQF by sponsoring the two Business Improvement & Transformational Leader Awards. We believe that it is crucial to recognise the mindset and behaviours of exceptional individuals who through their passion and drive take their teams on a continuous improvement journey. All the finalists will have demonstrated their attitude to go above and beyond to achieve outstanding performance through teamwork and their leadership style to add more value to their organisations. These individuals are an inspiration to all BQF members and we can learn how to be better leaders from them. At GSK, we understand that leaders need to grow and develop, so it is crucial to provide opportunities for them to showcase their talents. To help focus on their behaviours and the environments they are developing for their people, we have partnered with the BQF to provide a self-assessment tool to help member companies develop a culture focused on excellence in quality. By making the tool freely available to BQF Members we aim to drive collaboration and shared learning and insights across the BQF community. 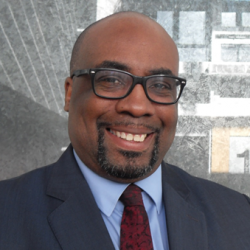 “I am the Director of Innovation & Strategy across Ricoh UK, leading transformation and change. I am a passionate advocate of people led change through empowerment, development, and engagement. I have also been instrumental within Ricoh UK in developing a compelling narrative of the changing world and driving the need to evolve the way that we work, through Workstyle Innovation across People, Workspace, Process & Technology. 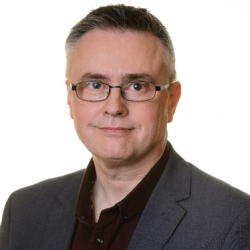 “I have over 20 years’ experience delivering transformation, change and business excellence across numerous contact centre industries. 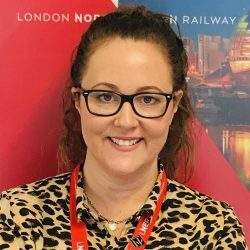 Finding home in the railways in 2017, I am currently managing the delivery of Innovation & Business Excellence into London North Eastern Railways and was the winner of the BQF Emerging Business Improvement & Transformational Leader award last year. I won this award based on successful delivery of various Innovation projects whilst also establishing a new governance model to take a large portfolio of Innovation & Business Excellence work from concept to reality. 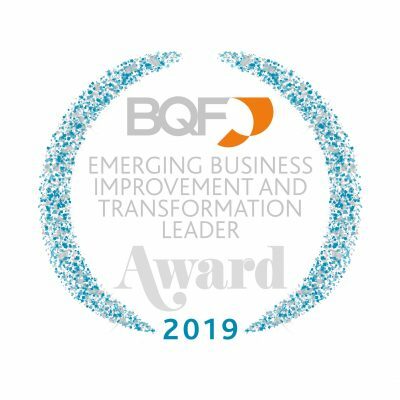 Widely regarded as a model of best practice for managing transformation, innovation and business excellence, I am regularly called upon to share my vast knowledge and experience with other BQF members. Can I nominate more than one person for this award? Yes, you can enter as many individuals as you like for this Leadership Award. Can I nominate myself for this award? Individuals cannot apply themselves but should be nominated by a reporting line manager/Head of/Director or previous employer. The nomination should be endorsed by an additional peer, stakeholder or client. Entry deadlines for the Innovation, Lean Six Sigma and Leadership awards are all on the 31st of October.